Attendees and participants on stage at investment conference in Liberia. When I first received the invitation for a delegation to attend an investment conference in Liberia, I was asked to reach out to retired teachers, farmers, and business persons who were not afraid of Africa, and ready to look into the tremendous possibilities of Liberia. Though I had been to Liberia many times, this trip was my most enlightened as I was able to see much deeper and firsthand into this rich and beautiful country on the West Coast of Africa. Liberia is blessed to have abundance of rubber, gold, diamonds, bauxite, beautiful beachfront properties ready for development, tremendous fishing grounds off the coast, and fertile land for farmers. 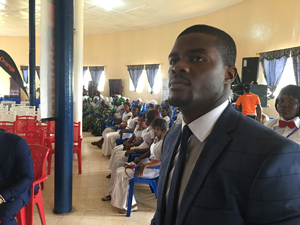 Liberia has a young workforce eager to learn and work to develop their country. Throughout its long history, Liberia has had many transitions. It once enjoyed economic prosperity and had one of the strongest economies in Africa. The country of 4.6 million people (in 2016) has also seen many years of war, economic havoc, dictatorship, and very recently was plagued by the deadly Ebola virus. Liberia has since been declared Ebola free. What was once one of the strongest countries in Africa has become a country struggling to get its economic, educational, and political house in order. 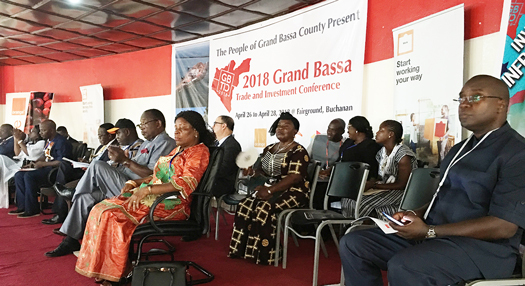 The Honorable Senator Jonathan L. Kaipay convened the first Trade and Investment Conference in Grand Bassa County, with the blessings of newly elected President George Weah. The county is an hour and a half drive from the capital city of Monrovia and will be the next area that will drive Liberia’s economic development. The ultimate goal, according to Senator Kaipay, is to transform Grand Bassa County into a financial business hub for economic growth in Liberia, and transform Grand Bassa’s capital city, Buchanan, into a commercial center. I was invited to participate by Ms. Naqueeta Ricks, under the instructions of Liberia’s vice president, the Honorable Jewel Howard Taylor. 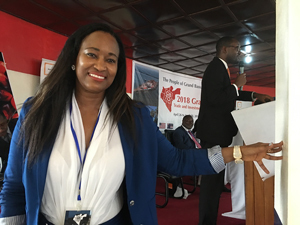 The conference attracted over 50 business entities and investors positioning themselves to become a part of Liberia’s development and economic growth. Bleejay Innis was tasked by Senator Kaipay with serving as conference coordinator. 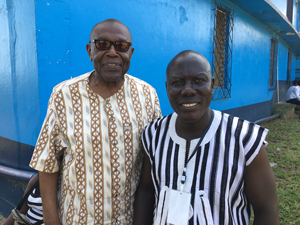 Mr. Innis, like Ms. Ricks, resides in both America and Liberia, and represents a new wave of young Liberians committed to redeveloping Africa’s first republic. The 3-day Trade and Investment Conference was full of workshops and seminars on energy, infrastructure, education, mining, transportation, agriculture, and tourism. Attendees came from Cote d’Ivoire, Ghana, Nigeria, the Caribbean, South Africa, the United States and many other countries. Ms. Princess Turkelon, the assistant minister of Information, Culture, and Tourism, took the delegation to Providence Island, the location where the first descendants of slaves arrived after choosing separation over slavery. This location birthed many emotions from the delegates as they were at the place where our ancestors landed to escape America’s slave masters and the institution of slavery. The intentions of the organizers are to hold the conference yearly, and my goal is to now include Liberia as one of the places we take our delegations on our trips to Africa. Abdul Akbar Muhammad can be reached via email at Aakbar314@yahoo.com. For questions or copies of his new book “Africa and the World Revisited” visit Akbarsbooks.com.